Liverpool star Mohamed Salah is the worst player in the Premier League at finishing off ‘big chances’ this season, surprise stats have shown. 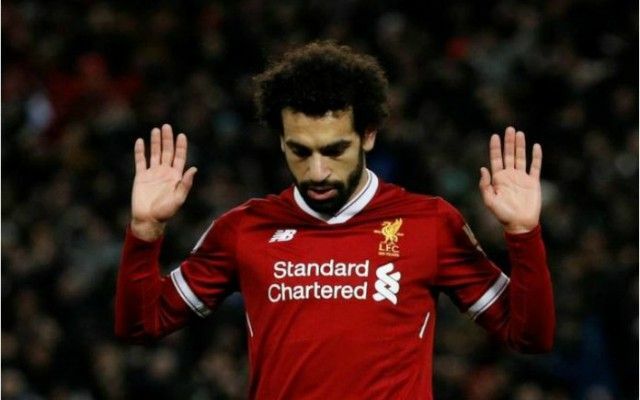 Yes, you read that right – the prolific Egypt international, who has been dazzling to watch and has 17 league goals so far this term to put himself in serious contention of winning the Golden Boot, could arguably do with working on his finishing. Data collected by Arseblog shows Salah tops the Premier League for ‘big chances’ missed, with 15 so far this term, just ahead of Chelsea striker Alvaro Morata on 14. Manchester City duo Sergio Aguero and Gabriel Jesus are also close behind on 12 and 11, respectively, followed by Crystal Palace front-man Christian Benteke, also on 11. Clearly, there is something in the way top forwards play that mean they find themselves in good scoring positions frequently, which in turn means they’re also more likely to miss big chances more often. Salah certainly doesn’t strike one as a wasteful player, though he could perhaps do a little better on his weaker right foot in some situations. Liverpool fans probably won’t be too bothered by these stats, though Chelsea supporters may have more cause for concern as Morata has struggled to get going this season. The Spain international certainly missed a glorious chance against Arsenal on Wednesday night and only has 12 goals in 26 games for Chelsea – hardly the record of a top class centre-forward. Has Alvaro Morata really been good enough for Chelsea? Morata has also scored just three times in his last eleven games for the Blues, with stats elsewhere showing he has a decent conversion rate with headed shots, but a very poor one with his feet, as he displayed against Arsenal.